Alexandria, VA – Visit Alexandria announces the official launch of its new LGBT marketing initiative in collaboration with Virginia Tourism Corporation (VTC) following an educational training program held for local businesses. Attending Visit Alexandria members are now designated as LGBT-friendly on VisitAlexandriaVA.com/LGBT. 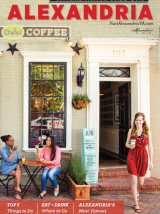 Joining VTC’s statewide initiative to market to the LGBT traveler, Visit Alexandria aims to enrich Alexandria businesses’ understanding of this lucrative niche market. According to recent numbers from VTC, LGBT travelers makeup nearly 10% of the U.S. market, spend an estimated $57 billion in the U.S. annually, and have the largest disposable income of any niche market. Additionally, 5% of travelers to Virginia identify as LGBT, and LGBT travelers in Virginia spend more and stay longer compared to all travelers in Virginia. The training, which was attended by approximately 50 people, offered valuable insights on topics such as marketing to LGBT travelers, being a welcoming weddings destination for LGBT couples, and ensuring an authentic visitor experience. Justin Ayars, president and CEO of the Virginia Gay & Lesbian Chamber of Commerce and publisher and editor-in-chief at Unite Virginia Magazine, facilitated the training. Additionally, Wirt Confroy, LGBT brand lead for VTC, shared updates on statewide efforts. VTC’s statewide initiative includes a new landing page for LGBT travelers and Virginia is for Lovers PRIDE merchandise, which is part of the recommendations offered by Governor Terry McAuliffe&apos;s LGBT Tourism Task Force to help inspire lesbian, gay, bisexual and transgender travelers to visit Virginia by promoting the state&apos;s welcoming and safe destinations as well as inclusive experiences. "Virginia is proud to be an open and welcoming destination for every visitor attracted by our scenic mountains and beaches, as well as our world-renowned restaurants, wineries, and breweries," said Governor Terry McAuliffe. "I am pleased the Virginia Tourism Corporation has created this landing page to connect travelers with inclusive, LGBT-friendly establishments across the Commonwealth. Virginia is truly for lovers, and we hope you have an unforgettable experience visiting the greatest state in the greatest nation on Earth!" To see which businesses have earned the LGBT-friendly designation, visit VisitAlexandriaVA.com/LGBT. Named a Top Romantic City, a Top Dog-Friendly City, and with a dramatic history featured on the PBS series MERCY STREET, Alexandria is a nationally renowned waterfront destination just five miles from Washington, D.C. Old Town Alexandria is the Shop Small headquarters of the region, with dozens of independently owned boutiques and restaurants tucked into 18th- and 19th-century architecture still intact from the city’s days as George Washington’s hometown. New restaurants ignite historic and off-the-beaten-path neighborhoods as the waterfront district evolves with new energy. Alexandria hums with a cosmopolitan feel and a walkable lifestyle—a welcoming weekend escape next to our nation’s capital.